"The Texas Federation of Women's Clubs named the mockingbird as the State bird of Texas and asked the Fortieth Legislature to adopt it." 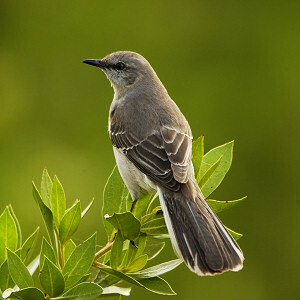 THE MOCKING BIRD DECLARED TO BE THE STATE BIRD. SELECTION OF A STATE BIRD. That the recommendation of the Texas Federation of Women's Clubs be and are hereby adopted and that the mocking bird be and the same is hereby declared to be the state bird of Texas. Approved by Governor, January 31, 1927. The following information is excerpted from the Texas Statutes , Government Code, Title 1, Chapter 3101, Section 3101-007. § 3101.007. STATE BIRD. The state bird is the mockingbird. Added by Acts 2001, 77th Leg., ch. 1420, § 7.001, eff. Sept. 1, 2001. Texas Statutes, (http://www.capitol.state.tx.us/statutes/statutes.html), April 14, 2005. State birds: Complete list of official state birds from NETSTATE.COM. More symbols & emblems: Complete list of official Texas state symbols from NETSTATE.COM. See a yellow bird and don't know what it is? No problem! This remarkable field guide features 170 bird species (only Texas birds!) organized by color. Full-page photos, detailed descriptions, Stan's Notes and range maps help to ensure correct I.D. Located on the migratory paths of many western hemisphere species, Texas is a birding mecca. This beautifully illustrated field guide features over 400 species either common or particularly notable in the Lone Star state. Descriptions of each bird, as well as the illustrations and range maps, help you identify birds and understand their habits. A checklist helps you keep a list of your birding accomplishments.